In the latest dramatic episode of the feud between rappers Nicki Minaj and Cardi B, Cardi B completely shaded the idea of working with the star in an awkward red carpet interview. The video shows an interviewer from Variety asking Cardi whether she believed she and Minaj would be able to move on from this feud and collaborate together, and the 26-year-old simply stared in silence. 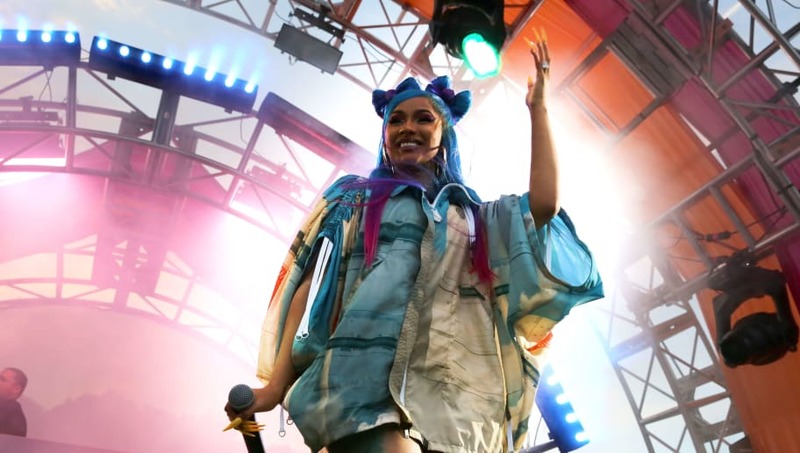 The reporter added one "Okur," Cardi's signature line, to potentially lighten the mood, which was met with a maniacal laugh from Cardi. The cringe-worthy video ends there, with the rapper never really giving a verbal acknowledgement to the question. The beef between the two has been ongoing, with everything from shady lyrics to altercations being thrown into the fire. One of the most notable events was when the two got into a fight at New York Fashion Week in Sept. of 2018. Things seemed to be looking up back in Oct. 2018, when after a heated rant from Cardi B on Instagram caught everyone's attention, she and Nicki both expressed a desire to not continue to feud any longer. But the "Money" rapper has just proved she definitely hasn't forgotten everything that's happened.